• Our range of personalized services helps clients continue to live at home. One Stop can arrange whatever assistance is needed—from a few hours a week to full-time, live-in care. Avondale can provide many kinds of help, from Home Health Aides, Visiting Dr.'s, Therapists and Durable Medical Equipment to Assistance with Insurance and the ever changing landscape of Medicare and Medicaid. • We collaborate with Managers of Senior Residences to further assist them as well as their Residents. One Stop provides invaluable support for Managers of Senior Residences. 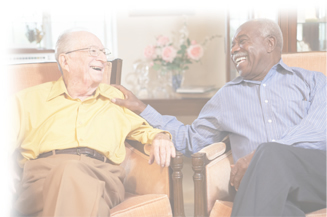 Avondale caregivers will assist your Residents, individually or in clusters. And our Caregiver Management will coordinate and simplify building access and scheduling arrangements. • Our continuity of care can ease the transition after hospitalization. One Stop can simplify discharge planning from a hospital or rehab facility. Avondale can help facilitate a smooth transition home, starting even before the client is discharged. Now Case Managers can arrange for everything from one resource and have confidence in the services their clients will receive. "We believe that exceptional care, personalized attention and respect for the individual are the rules, not the exceptions." "Thank you for all that you have done over the last year. Margie has done an outstanding job. You all have been very helpful in helping me maintain my independence and that is exactly what I asked for in our initial interview. In addition to the activities provided through the day the Nurses make sure I take my medications on time and Margie makes sure I am always nutritious meals. On our 1 year Anniversary I wanted to take the time to let you know of a job well done"